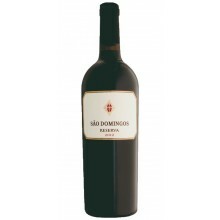 The region is rich in Bairrada production of red and white wines, made ​​from traditional grapes such as abundant berry, and other imported into Portuguese soil, as the international Cabernet Sauvignon. Bairrada Wines There are 158 products. Bairrada is a Portuguese wine region located in the Beira province of Portugal, borded to the north by Lafões IPR and to the east by Dão DOC. 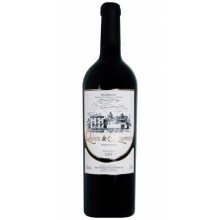 Bairrada has the highest wine classification as a Denominação de Origem Controlada (DOC), and is located near the Atlantic Ocean, which climate has a moderated effect. The name “Bairrada” is originated from “Barros” (Clay) due to the clayey soils of the region, an important characteristic of the winery region. Classified in 1979 as an ancient winery region, the wine from Bairrada is known for its deep colored tannic red wine that often have bell pepper and the black currant flavors as well its emerging rosé production. The wines grow exposed to the sun favouring the further maturity of the grapes. Bairrada produces mainly table, white, and red wines, and the region has a few principal grape varieties including red casts Baga, Alfrocheiro, Camarate, Castelão, Jaen, Touriga Nacional, Aragonez; and white casts Maria Gomes, Arinto, Bical, Cercial, Rabo de Ovelha, Verdelho. 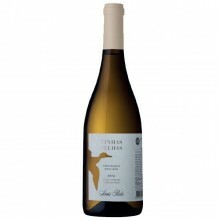 The following Bairrada wines selection is composed by White Wine, produced exclusively from white grapes juice, and the consumption is ideal with light meals and aperitifs. White wines are more refreshing, lighter in both style and taste, and are ideal to drink in the spring and summer occasions. Bairrada is a Portuguese wine region located in the Beira province of Portugal, borded to the north by Lafões IPR and to the east by Dão DOC. 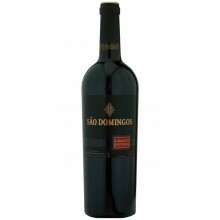 Bairrada has the highest wine classification as a Denominação de Origem Controlada (DOC), and is located near the Atlantic Ocean, which climate has a moderated effect. The name “Bairrada” is originated from “Barros” (Clay) due to the clayey soils of the region, an important characteristic of the winery region. Classified in 1979 as an ancient winery region, the wine from Bairrada is known for its deep colored tannic red wine that often have bell pepper and the black currant flavors as well its emerging rosé production. The wines grow exposed to the sun favouring the further maturity of the grapes. Bairrada produces mainly table, white, and red wines, and the region has a few principal grape varieties including red casts Baga, Alfrocheiro, Camarate, Castelão, Jaen, Touriga Nacional, Aragonez; and white casts Maria Gomes, Arinto, Bical, Cercial, Rabo de Ovelha, Verdelho. 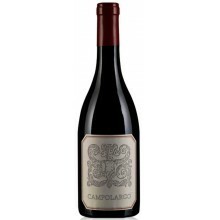 The red wine production involves picking the grapes by hand or machine, destemming and crushing, involving the mixture of individual berries, whole bunches, stems, and leaves, originating the must. The must is pumped to a vessel, or a tank made of stainless steel, or an oak vat, for fermentation. With the purpose to prevent oxidation, it is added Sulphur Dioxide when the grapes arrive at the winery, and some winemakers prefer to chill the must to around 10°C (50°F), to allow a period of pre-fermentation maceration ("cold soaking"), of between one and four days. The inoculation and fermentation process to start the alcoholic fermentation, in which sugars present in the must are converted into alcohol with carbon dioxide and heat as by-products. After this process, occurs the separation of solid and liquid phases, where skins float to the surface, forming a cap. Fermentation produces heat and it needs to be controlled by different refrigeration systems to prowl the temperature of 25-28°C; 77-82.4°F. The density and temperature of the fermentation is checked once or twice per day, with the objective to be proportional to the sugar content, falling each day as the sugar is converted into alcohol. A second microbiological transformation commonly takes place after the alcoholic fermentation of red wines, and the red wine is usually racked (decanted) off its lees (dead yeast cells and other solids). Most red wine is aged in stainless-steel or concrete tanks, or in small or large oak barrels for some period before bottling, though this can vary from a few days, up to 18 months or more. 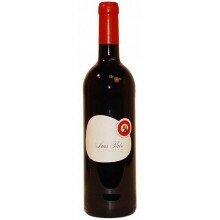 Finally the red wine pass through undergo fining, which is designed to clarify the wine and sometimes to correct faults such as excess tannin, and then are filtered to eliminate any remaining yeast cells and bacteria, and then bottled. 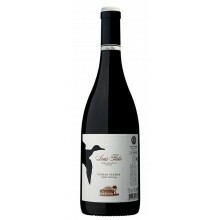 Luis Pato Baga & Touriga Nacional is perfect with grilled dishes, meats and fishes.